HDR software / The Cohutta Overlook | Just Shooting Memories! I currently use Photomatix as my HDR tone mapping software. I ran across Photomatix in March 2010. I had never seen a photo processed as an HDR until then. I thought it was pretty cool at the time and I used the trail version until the fall. I tried several free versions of HDR processing software as well as several fake HDR techniques before settling on Photomatix. I have not found anything simpler. I am always looking for tools to add to the tool belt, so if you know of something for me to check out, leave a comment. This is this was the very first HDR photo that I took. Now, this is not the earliest in my catalog of photos which I have gone back and processed as HDR. This was the first I purposely used auto-bracketing with the intent of making an HDR image. This shot is from near the top of Fort Mountain. I took the girls on a late winter hike. The end of March to be more precise. It was good to get out of the house for a little while after the winter began to break. Across this valley, is the Cohutta National Forest. One of the best places to go in North Georgia. 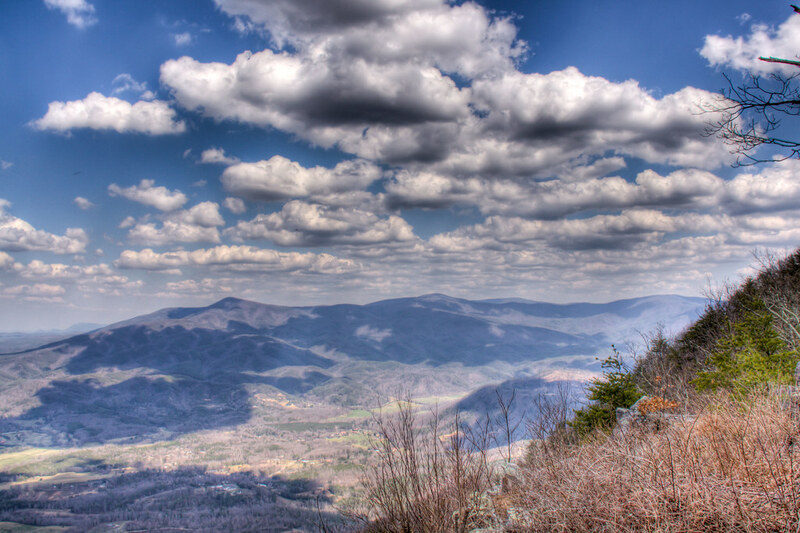 In fact, Fort Mountain State Park is a great way to experience it with out the hassle of forest service roads. Only about an hours drive from here is the start of the Appalachian Trail. A couple of months ago, I made a hike to the top of Blood Mountain for Sunrise. And while you check that out, don’t miss last Friday’s Daily Photo. I’ve been using PhotoMatix for a few years, and like you I’ve tried nearly all the rest and keep coming back to PhotoMatix. Their newest version has a much-improved UI, and I really like using their Aperture plug-in. They do seem to be the ones to beat.